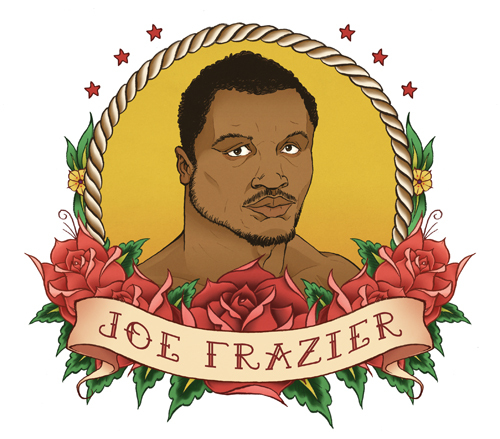 I was recently asked to do some illustrations for the Philadelphia City Paper's annual "People Who Died" issue. 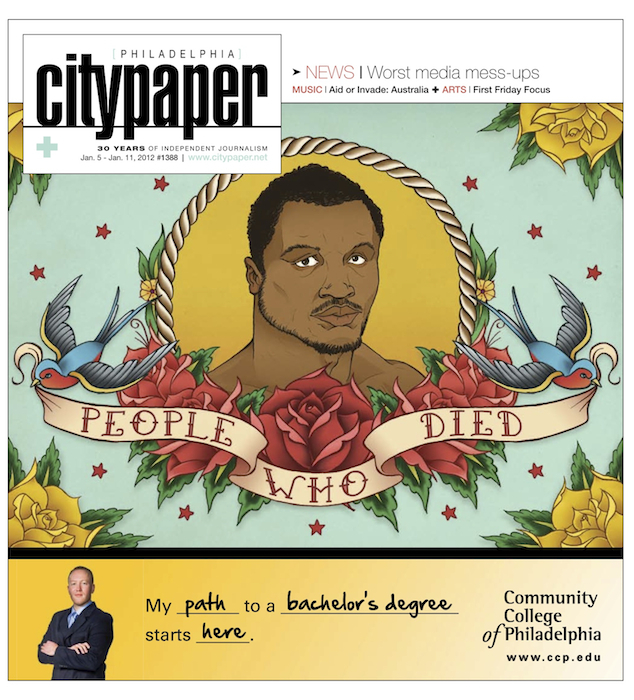 I created the cover as well as 7 portraits of Philadelphia-related people who passed away this past year. In looking at Joel Kimmel's wonderful work for the issue last year, I set out to do something different. I eventually came up with the idea of tattoos and how they're often used to memorialize somebody. I gathered a lot of reference material and went from there. You can read about the subjects here at the Philadelphia City Paper site. Because of the deadline, I was able to work on the pieces while I was at home with my family in Michigan for the holidays. It was fun to have them around to see how I work on assignments. Thanks again to art director Reseca Peskin for a fun gig.